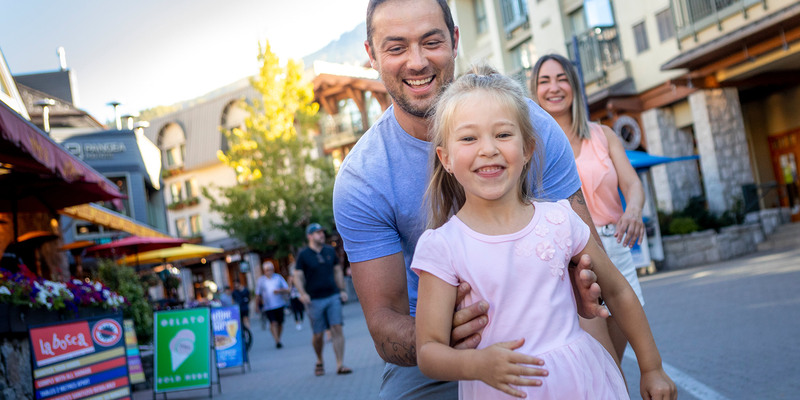 Whistler is a mountain resort, a magical place for a family vacation with things to do for everyone from toddlers to grandparents, and amenities that make traveling with family a breeze. Find out why many of our visitors return year after year and why readers of SKI Magazine ranked Whistler in the top 10 kid-friendly resorts in North America for 2015. Whistler is a place that people come to have fun, and connect with nature. It 's reflected in the smiles everywhere, and the authentic and happy people you meet. What better place is there to make a memorable vacation? Everything you need is close at hand which means less planning, more fun time. 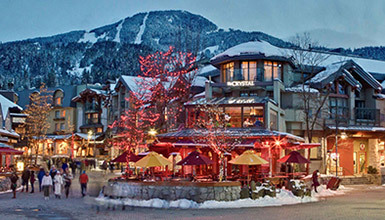 Stay in the Village or Creekside and you will find the pedestrian-only strolls go right to the ski lifts at the base of Whistler and Blackcomb Mountains passing shops and other amenities. In resort transit options mean it's easy to get from point A to point B with all the kids, without the need to bring a car - up to three kids ride for free on the BC Transit System with each fare paying adult. Every family has different needs. There 's a huge range of accommodations to suit all size groups and budgets - self-cater or don 't lift a finger the entire time. There are indoor and outdoor activities to suit all ages and interests including accessible options. Eating out is made easy with over 100 restaurants catering to all tastes. Plus there are camps, childcare and babysitting services if you need some quality time alone. A busy events calendar means there is always something happening around Whistler and if you get stuck for ideas, there are helpful people in places like the Whistler Visitor Centre to help you out. Here are some common questions we get asked - hopefully these resources will help you kickstart the family vacation planning. I am travelling with kids, where should I stay? There is a large range of places to stay in Whistler, from high end hotels to condos and budget-friendly self-catering places. Some accommodations offer features like indoor and outdoor pools, games rooms, cribs and more which can help entertain little people and make travelling with kids easy. Visit the A-Z page to see the accommodation on offer, or if you would like assistance talk to a local travel consultant - they can help narrow down the choices. I don't want to travel with lots of sporting equipment - can I rent kids ski gear in town? How about bikes? Yes you can! There are places to rent skis, snowboards, cross country skis, snowshoes, golf clubs, bikes, water craft and more for the whole family. Some places also rent chariots for the Valley Trail and cross country skiing. That way you can travel light and still take part in all the fun outdoor activities on offer. Is it possible to rent childcare equipment like strollers and high chairs? There are places in town that rent out childcare equipment - visit the childcare page to find out more. It 's a hot day - is there anywhere for the kids to swim and cool off? Whistler has a number of lakes with beaches that are suitable for families to enjoy. Young families might also enjoy the waterpark and the indoor kids pool at Meadow Park Sports Centre. Are there any camps for kids and teens in Whistler? There are a variety of camps and workshops for young people available that vary with the season. Examples include Ski School in winter, summer skiing camps, biking camps, golf courses, music and art workshops and indoor climbing evenings. Is there anything for teenagers to do? Absolutely. Aside from plenty of activities to pick and choose from, there are a number of programs that teens might be interested in joining. Are there any family-friendly hiking trails in Whistler? There are plenty of trails you can enjoy with your family around Whistler. 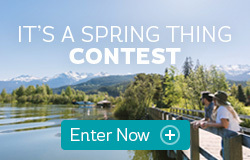 Mixed groups may enjoy to explore the Valley Trail on foot or by bike - this wide, paved trail provides easy access to Whistler 's lakes, beaches and parks and is a great way to get to know the town. The PEAK 2 PEAK Alpine experience allows you to access the hiking trails on top of Whistler and Blackcomb Mountain - again, there are different levels of trail available from wide gravel paths to winding alpine singletrack. Ride the PEAK 2 PEAK Gondola between the mountains and have a meal on the mountaintop for an incredible family day out. There are other hiking trails around town that range from Interpretive Forest walks to waterfall viewing platforms to longer day hikes. Visit our hiking page or the Whistler Visitor Centre for more advice on suitable walks for your family. 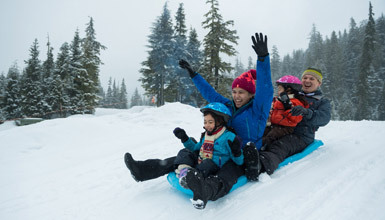 Are there any family-friendly ski areas on Whistler and Blackcomb Mountains? Yes there are! Both mountains have areas designated as family zones, which have learning areas, green and blue runs to explore as well as beginner terrain parks. Each mountain also has a special kids play area (The Treefort on Whistler and the Magic Castle on Blackcomb) where kids can take a break from skiing to play. Take a look at the Whistler Blackcomb Trail Map to find the family areas. The Whistler Blackcomb trailmap for Kids is a colourful version that highlights the family friendly areas. I'm trying to reduce the use of my car. Are there any deals for kids on transit? BC Transit’s Family Travel Program allows any fare-paying adult customer to travel with up to three children (12 years and under) free of charge. This program applies to cash fares and tickets. I'm out of ideas to entertain my family - help! Not sure how to keep the crew entertained? Browse our Itineraries and Things to Do online, and see if you can find some inspiration. The event calendar and community event calendar are also great planning resources. If you are in resort, visit the Whistler Visitor Centre - the friendly staff have lots of good ideas for families and up to date information on what 's on in the resort. 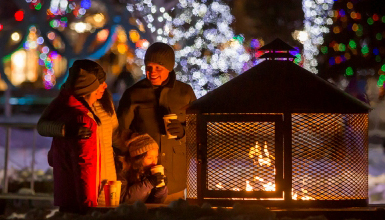 Here's a selection of upcoming family friendly events in Whistler - be sure to check the main event calendar for a full listing of what's on during your stay.